The cool weather is finally here and the forecast is showing it is here to stay. The high temperature today is going to reach 69 degrees, significantly higher than yesterday. High Temperatures are going to be increasing daily as the week continues. If you are headed out to look at the super moon, make sure to grab a jacket. 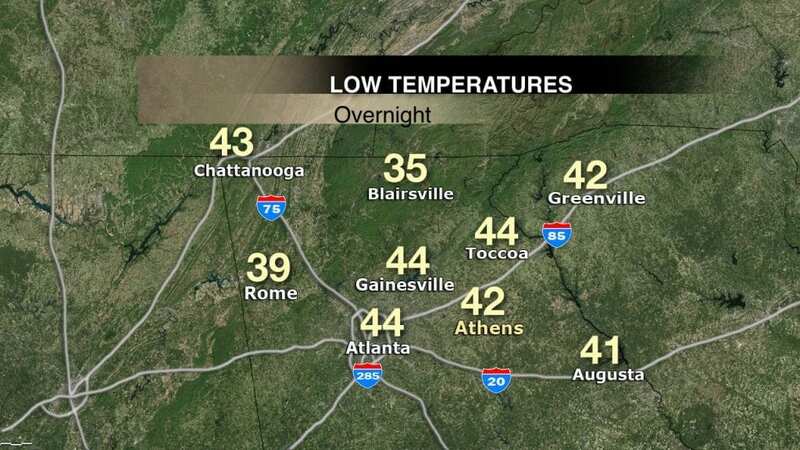 The low temperature for tonight is only 10 degrees above freezing, 42 degrees. Tomorrow, it is going to be cool in the morning, but temperatures are going to reach the high of 69 at 3 p.m.
Grady Newsource reporter Marah Brock tells us about weather for Tuesday, February 20, 2018.